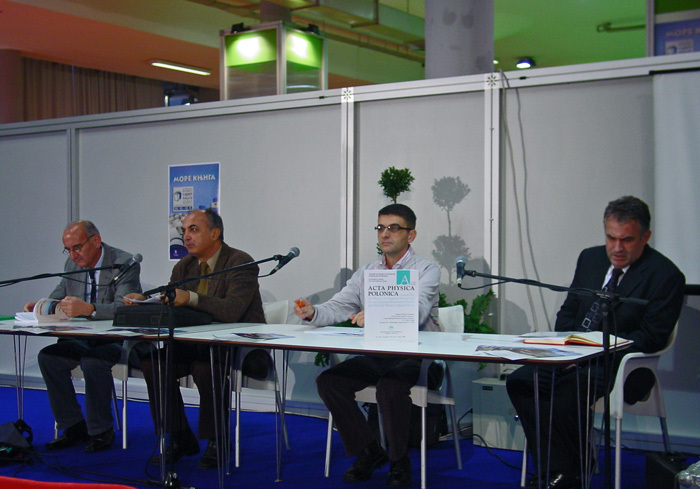 In cooperation with the Materials Research Society of Serbia and the Serbian Chamber of Engineers, the Institute of Technical Sciences of SASA organized two book presentations at the 54th International Belgrade Book Fair On October 27, 2009. The presentations were supported by the Ministry of Science and Technological Development of the Republic of Serbia. The presentation held in the “Borislav Pekić” conference room at 10.00 AM featured special issues of the journals Materials and Manufacturing Processes (Taylor & Francis) and Acta Physica Polonica A (Polish Academy of Sciences, Institute of Physics) dedicated to the YUCOMAT 2008 Conference, and the Book of Abstracts of the Eleventh Annual Conference of the Materials Research Society of Serbia – YUCOMAT 2009. 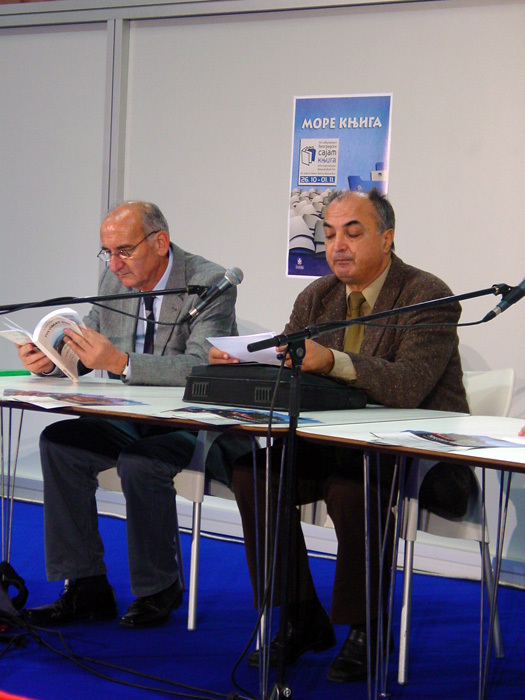 The publications were presented by Prof. Dr. Dejan Raković, Dr. Slobodan Milonjić, Prof. Dr. Nenad Ignjatović and Dr. Nebojša Romčević. Prof. Raković (Faculty of Electrical Engineering, University of Belgrade) made an overview of the activities of the Materials Research Society of Serbia aimed at the dissemination of scientific achievements presented at the YUCOMAT Conferences. 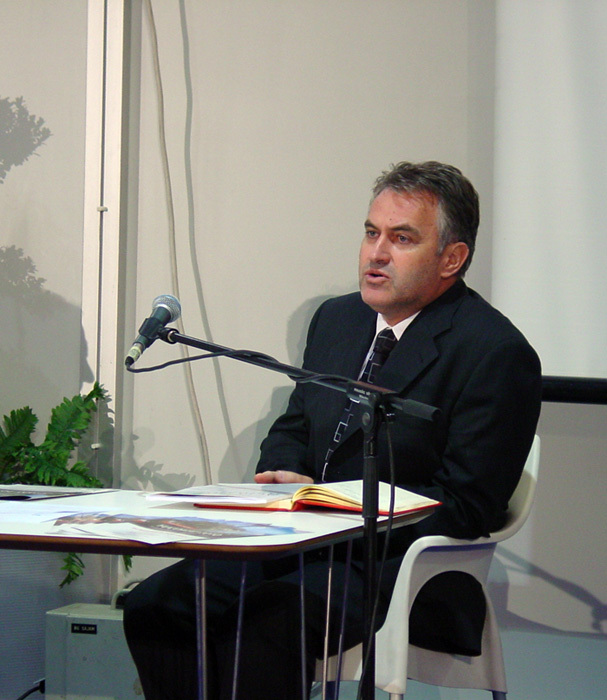 Dr. Milonjić (Vinča Institute of Nuclear Science) presented the Book of Abstracts of the YUCOMAT 2009 Conference, held between August 31 and September 4, 2009 in Herceg Novi, Montenegro. He particularly highlighted statistical data showing an increased international interest in the Conference: it was attended by researchers coming from 37 countries and featured 213 presentations (out of 275 submitted), authored by 850 researchers: 18 invited lectures (within three plenary session), 59 oral presentations and 136 posters. Foreign researchers made two thirds of the total Conference participants. Prof. Ignjatović (Institute of Technical Sciences of SASA) gave a brief overview of the 31 papers published in Vol. 24, Issue 10-11 of Materials and Manufacturing Processes. He also drew attention to the cooperation between Google and the Institute of Technical Sciences of SASA under the Google Book Search Partner Program. The books of abstracts from seven YUCOMAT Conferences (2003-2009) are now available on Google Books. 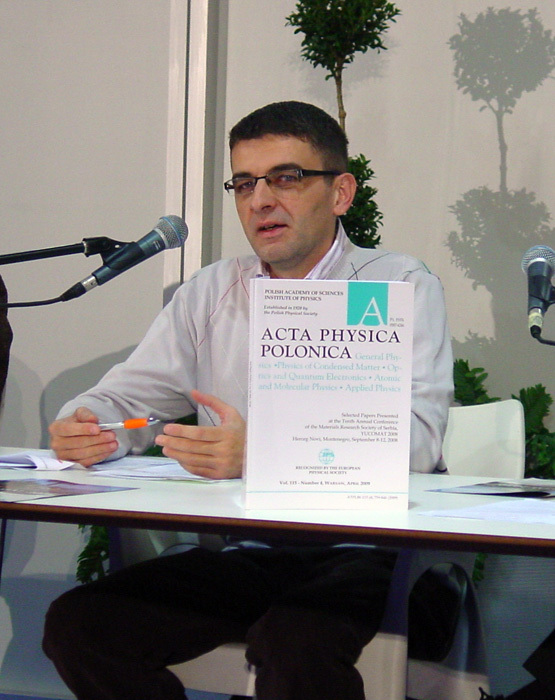 Dr. Romčević presented the special issue of Acta Physica Polonica A, Vol. 115, Issue 4. 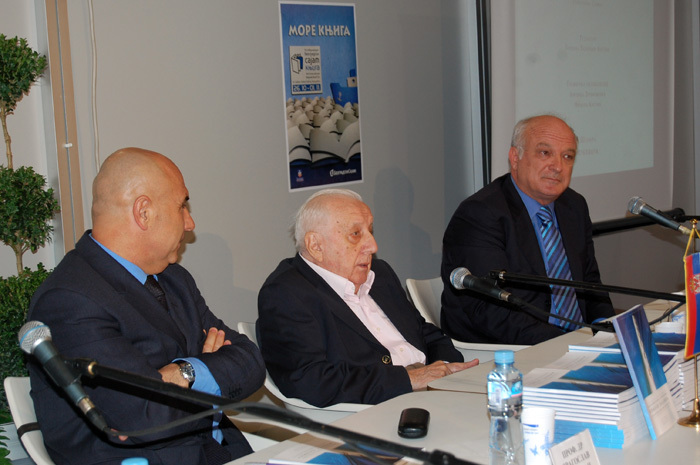 On the same day, at 11.00 AM, the Serbian Chamber of Engineers and the Institute of Technical Sciences of SASA organized the presentation of the book Major Scientific and Engineering Achievements of Nikola Hajdin in International Engineering Literature. 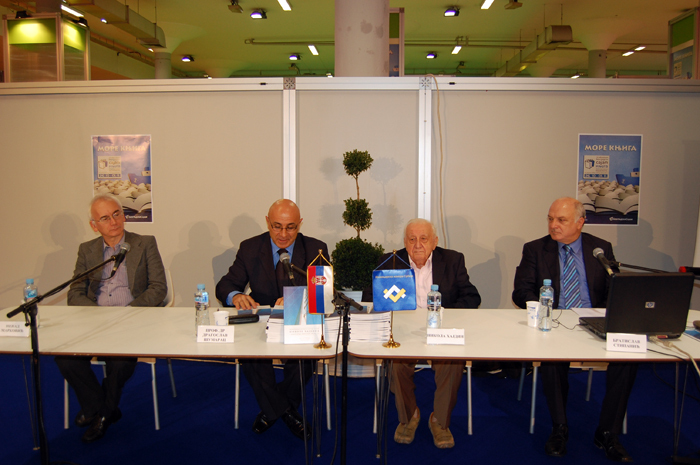 The book was presented by its authors: Prof. Dr. Dragoslav Šumarac, Prof. Dr. Bratislav Stipanić and Prof. Dr. Nenad Marković, who highlighted the contribution of Academician Hajdin through scientific papers and engineering studies to Serbia’s good international reputation in the field of civil engineering. 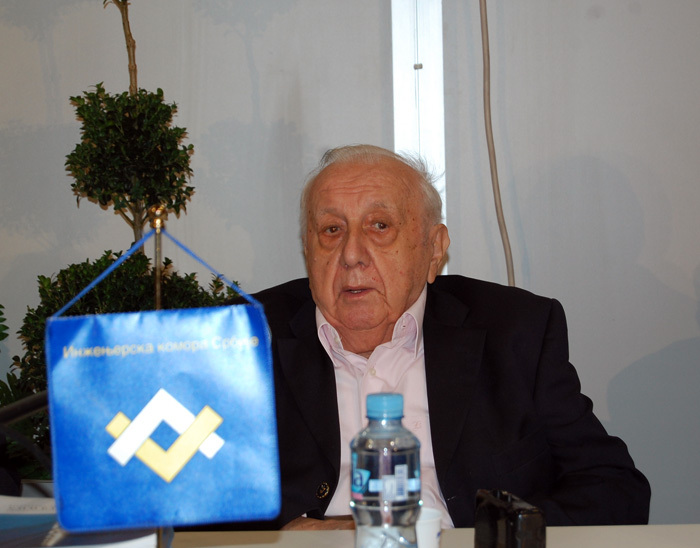 The presentation was also attended by Academician Nikola Hajdin, president of the Serbian Academy of Sciences and Arts, who said: “The book makes no attempt at evaluations. What rests between the covers is a compilation of excerpts from foreign publications or press dealing with the quality of my work, either published papers or constructions. The book doesn’t stress any particular segment of my work – all the issues covered are treated in a uniform manner and supported by substantial evidence. However, I would like to highlight cable-stayed bridges, which has been the widely predominant bridge type, stemming from the pioneering efforts of those engineers who developed that construction method; without false modesty, I am one of them." Due to the courtesy of the publisher and Academician Hajdin, signed copies of the book were delivered to the presentation attendees.